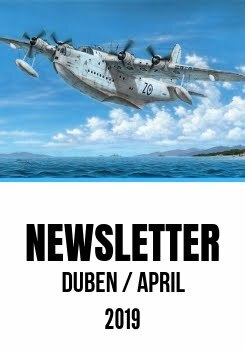 In the 31 March edition of Special Hobby blog we announced the Lloyd C.V series 82 kit camouflage options. 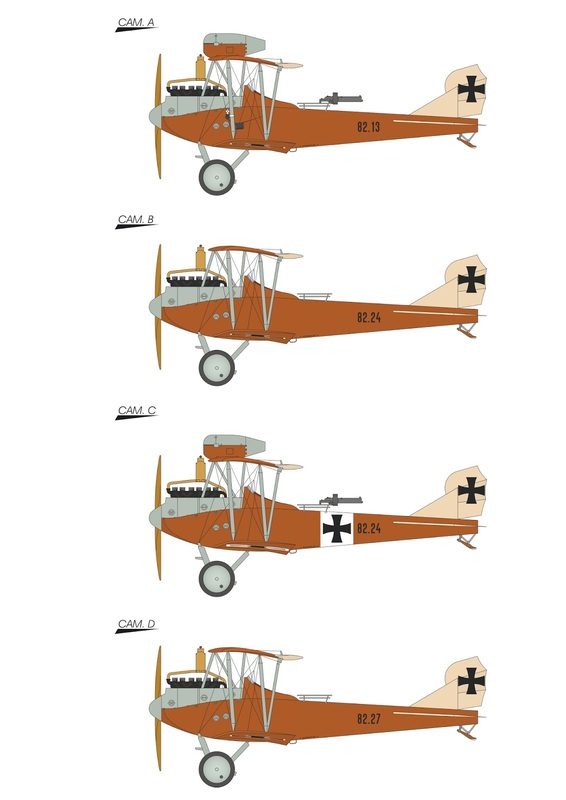 Since then, we have been fortunate to receive some additional reference materials and history notes from leading Czech aviation historian Bohumir Kudlicka (also well-known for his excellent features on Austro-Hungarian WW1 military aircraft in Revi magazine) which lead us to rework the side profiles and update the picture captions. We also found out that some of the Lloyds had surprisingly close relations with the history of Czechoslovak aviation. It makes us happy now to be able to share these new findings with you. 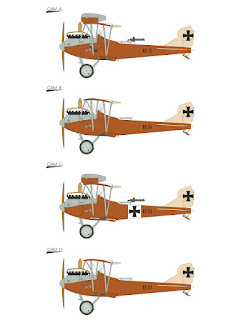 Lloyd C.V series 82 (WKF), 82.13, K. u. K Luftfahrtruppen (literally Imperial and Royal Aviation Troops or Air Forces of the Austro-Hungarian Empire), fliegerkompanie Flik 3/D, Russian front, K.u.K. 2. Armee, Autumn 1917. The machine is known to have carried a forward firing machine gun mounted in a coffin-shaped box on the upper wing and a flexible one in the rear cockpit. The port side outboard interplane strut was fitted with an anemometer. Having been slightly damaged on landing after a test flight with Flik 3/D, the airplane was repaired at FleP 4 Lemberg and also received its armament and was returned to its original unit. Lloyd C.V series 82 (WKF), 82.24, K. u. K Luftfahrtruppen, Flik 6/F, Albanian front, 1916. Earlier in its flying carrier, the machine was seen carrying no armament. In a photograph showing 82.24 in a later period with the armament, white square background can be also seen added to the fuselage crosses. Lloyd C.V series 82 (WKF), 82.24, K. u. K. Luftfahrtruppen, 1916. Later, 82.24 machine was photographed with its armament consisting of a forward firing machine gun in the “coffin” above the upper wing. The first combat flight, a successful attack agianst Port of Valona (now Vlorë, Albania) with this machine was carried out by a crew of field pilot Zugsf. Karel Janhuber and observer Lt.i.d.Res. Alfred Heissenberger. Before the end of the war, the machine was sent to Prague repair facility Al-Ma. 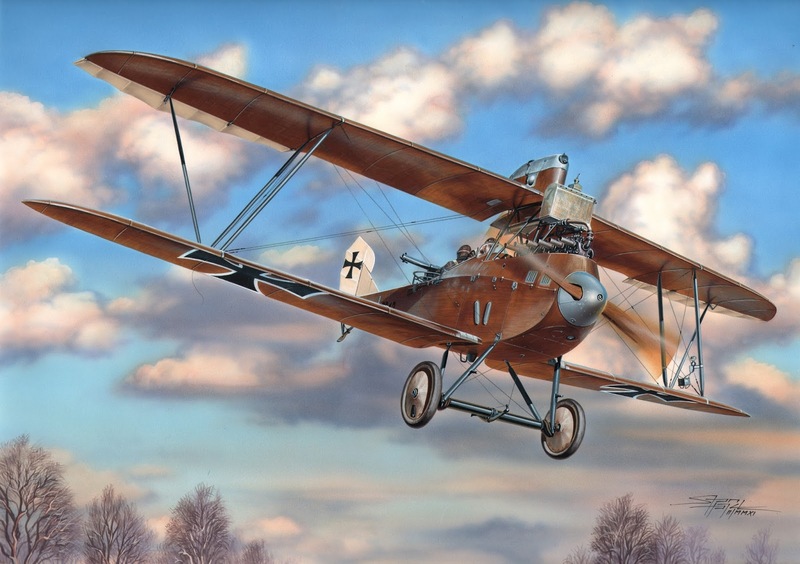 Field pilot Karel Janhuber had more than a hundred of successful combat flights to his tally during the course of the war and received Bronze, Silver (both 2nd and 1st Class) and Gold Medals for Bravery as well as Karl Troop Cross. In the post-war Czechoslovakia he continued in his successful military career and became one of the most accomplished flying instructors. Although having not passed his secondary school leaving exam, he was promoted to the rank of lieutenant of aviation in 1938. Lloyd C.V series 82 (WKF), 82.27, K. u. K. Luftfahrtruppen, Flik 27/D, Russian front, Galicia, K.u.K. 4. Armee, 1917. The machine was photographed carrying no armament. It was fitted with a Benz IV engine c/n 81.064 and eventually written off on 21 October 1918 at Aspern military warehouse.